DISCLAIMER – This is not a recommendation to buy any stock. How companies who are making less than a $1MM in revenue per year can say they are the “best” with a straight face and not a hint of self-awareness is simply breathtaking. To say you are the best at something typically requires consistent results, earned over a fairly decent stretch of time, and enough objective feedback that you can actually make that determination. 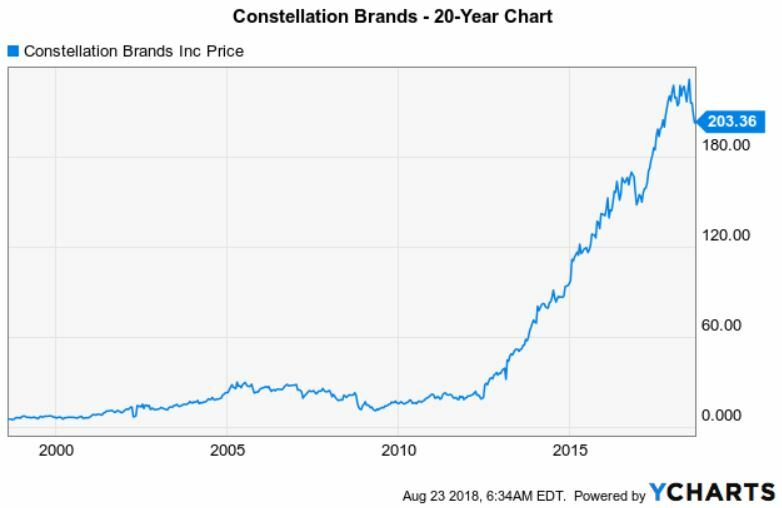 There are cannabis companies, some of whom are quite well run, and then there is a proven beast like Constellation Brands (NYSE: STZ). If you read our last commentary, our Matrix reference was about being honest as to the risks about the value disconnect between the U.S. and Canadian cannabis companies. Today we proudly say that the reality is changed because of Constellation, and it’s not a bitter pill at all. As we walked around the wonderful Benzinga conference in Toronto last week, we heard a lot of similar themes on the transformational STZ investment into Canopy Growth (TSX: WEED) (NYSE: CGC) – $3.8 Billion is a lot of capital to throw around in this industry. Phrases like “overpaid,” “insane,” and “crazy prices” were all thrown around so easily. Everyone knows it is a big deal but most people wanted to talk about price. Not so fast! It wasn’t a random investment. Constellation had already invested $200MM several months ago to try the cannabis space on for size and without any negative connotations to their core franchises, they pounced on the opportunity. Anyone who knows Merida knows we sometimes stray from the crowd but our hot take on the STZ/Canopy deal did veer towards the same type of thinking. Because of the significance of the transaction, and the seeming price disconnect paid, we gave it a hard look and did what we have come to be known for amongst industry insiders. What we discovered when analyzing Constellation was incredibly enlightening and it is now our firm belief that the hot takes on STZ/Canopy are profoundly shortsighted and could be understating the importance of this transaction. While this transaction has made Canopy’s stock a hot commodity, we think Constellation just catapulted itself into a new stratosphere and we think it is poised to be a significant step forward for Constellation and the industry. We can’t say if the stock is a good buy or not but this transaction is one of those no-doubt home runs that lands deep in the upper deck of the SkyDome, or whatever it’s called now. Government regulation is the single most important factor to investment in the cannabis industry. Regardless of country or state, down to municipality rules in California, the license tender rules in Germany or local law in Massachusetts, regulations are likely to be the leading force in cannabis for years. Sophisticated Investor from Wall Street fund: Mitch, what do you see as the biggest risks to the industry? Me: Regulatory risk, friction and systemic risk from regulation, lack of institutional participation because of illegality, fragmentation because of regulation and illegality. Sophisticated Investor: Got it. What are the biggest opportunities? Me: Fragmentation because of regulation and illegality, lack of institutional participation, how people react to regulatory risk, like using data, and the lubricants that reduce regulatory friction. I’m being brief here (something I’m rarely accused of) but suffice it to say that anyone who has sat with us for even a few minutes knows I’m like Bubba from Forrest Gump except I’m all about regulatory friction or the “Fragmentation Gap” instead of shrimp. We discovered in our analysis that Constellation is adept at regulation in a way cannabis companies typically aren’t. We think cannabis as an industry where a company can actually get so far ahead of the government that they could design their own advantage if they understand the mindset of bureaucratic development, and the potential architecture of future laws. An example: New York and Pennsylvania are now allowing vaporizable flower when a key feature of their laws was NO FLOWER. While all the geniuses in our industry who speak without knowing a darn thing about anything they say were talking down New York as a market, we saw it differently and invested in Valley Agriceuticals and three other large multistate operating companies were acquiring licenses. We knew from our experience that all medical markets get off to slow starts and understanding how New York’s Department of Health was rapidly improving the program, gave us all of the information we needed. We weren’t the only ones but we were the only non-cultivation focused entrant. How’s that for opportunism? For Constellation, we think their management has some real vision and insight about regulation and they think that lightning can in fact strike twice (more on that below) because regardless of liberalization occurring in the U.S. or Canada, rules and regulations are going to be messy for at least the next three years, if not more. A descheduling in the U.S. would lead to an environment looking like, well… no one quite knows and anyone who thinks they do is likely a Dunning-Kruger effect spokesmodel. The reality is we are looking at 3-5 years of turbulence on the regulatory side and that means experience on that side is essential and could create advantages that cannot be made up easily regardless of how “good” an operator is or how “best in class” their cannabis is. We also presume that Constellation thinks it will be able to steward regulatory efforts far more effectively as a majority owner of a company rather than as simply a large financial investor. See number 2 below for more there. Having spent the better part of six years of my decade of involvement in the cannabis industry applying for, winning, and yes, losing licenses in 11 states and investing in several others, we both empathize and understand the sense of accomplishment for Tantalus Labs and Dan Sutton. We don’t know them, but we know their pain and now, joy. There are thousands of similar stories in the U.S. Just ask Valley Agriceuticals, our New York licensed portfolio company that spent a year fighting the New York DOH to receive one of 10 licenses in NY. Or GTI and Vireo, both of whom have had to wait nearly two years in Maryland. In GTI’s case, a license was virtually taken from them in Maryland due to “geographical diversity.” Vireo scored near the top of the state but had to fight to get a license due to events that an administrative law judge in Maryland concluded either did not occur or if the events did, did not involve Vireo’s management and therefore had nothing to do with its license in Maryland. Each state has its stories and the reality is the state application process and the broader impact of regulation and government on the cannabis space are limitless and it’s going to stay messy for a fair amount of time longer than people think. Constellation is a highly sophisticated, experienced and skilled operator when it comes to regulations and we believe they will figure out how to replicate their previous success when it comes to winning through government interaction, lobbying and shaping regulation and then building a business around it. Don’t believe this is relevant to their Canopy investment? Do you know how Constellation rose to prominence and became one of the leading beverage companies in the alcohol space after struggling mightily in the U.S. financial crisis? On Jan 2, 2013, Constellation’s stock was $35 per share. On June 1, 2013, their stock was around $50 per share and kept rising steadily thereafter for 5 years. Their earnings guidance was $1.98 per share for FY 2013 and $9.55 for 2019. That’s a massive jump for an alcohol company. What happened in January-June 2013 that changed Constellation forever? They won big through regulation and government interaction. The facts: Anheuser Busch/InBev sought to acquire Grupo Modelo in 2013. As part of that merger, U.S. Antitrust officials at the DOJ were deeply concerned about the impact of such a mega-merger on beer prices and in going through their horizontal/vertical antitrust analysis, determined that AB/InBev should be forced to divest itself of its 50% ownership of Crown Holdings, which owned U.S. distribution rights to Grupo Modelo’s portfolio (Corona, Modelo, Pacifico). Whether Constellation knew of the minute facts of the AB/InBev transaction as it moved along is irrelevant. Maybe they helped the DOJ come to the decision to force the divestiture-we may never know. We find it hard to believe that a large company like Constellation didn’t have some insight into how the DOJ would analyze, and seek to resolve, the merger issues they had identified in their antitrust review, especially with their partnership in Crown with AB/InBev. Forcing AB/Inbev to sell its half of Crown made perfect sense and Constellation, as the other 50% owner was in a perfect place to acquire it. This changed the company forever. Several event-driven hedge funds knew it at the time. It was that obvious to those in the know that this was going to be a big deal. Fast forward to today and while Canaccord has called the Canopy investment transformational, we still don’t think everyone gauges accurately how tremendous this is. Yes it has moved stocks-but that is small thinking folks. Constellation understands macro regulation better than anyone in cannabis because that’s what they do and that is big thinking. Interestingly, the forced sale from AB/Inbev to Constellation weren’t the only wins. The DOJ required AB/Inbev to enter into a strict supply agreement for the GM products (Corona prominent amongst them) so that U.S. consumers would not suffer from shortages of their chosen beer brands. More interestingly, the DOJ had identified internal pricing memos and other strategy documents uncovered, from years before, that showed AB/Inbev using incentives to nudge up prices. The result: the DOJ severely limited AB/InBev’s ability to offer store incentives on all their brands which could hurt the U.S. Grupo Modelo business Constellation just bought. That is how you make really, really big money. AB/InBev agreed to consent to DOJ imposed rules that required a sale of Crown to Constellation, forced AB/Inbev to supply the Modelo products to Constellation until they had their own supply means, and then limited the ability of AB/Inbev to use their most effective way compete with the assets they just sold to Constellation. That is the Triple Crown of winning through regulation and Constellation was both Secretariat and more recently, American Pharaoh. To reiterate the theme, it’s hard to assume Constellation was completely an innocent bystander to this who just happened to get an incredible opportunity dropped in their lap. As a post script, three years later, Constellation picked up a brewery in Obregon, Mexico from AB/Inbev to move away from the interim supply agreement required in the 2013 ruling and secure their control over the supply of these products with the plans to greatly increase production. The DOJ had to approve that sale as well and expedited it. The fact that AB/Inbev continues to find itself in the DOJ crosshairs because of other proposed acquisitions is an insult to injury while Constellation now will serve cannabis and cannabis-infused drinks to further steal customers from AB/Inbev is an irony not lost on us. To summarize, Constellation identified an opportunity through government regulation, paid a huge sum of money to lock down that opportunity, and then spent years optimizing that opportunity in a manner that has led to incredible results for their shareholders. And now they are investing in the cannabis industry in a manner that will give them years of sector experience ahead of other huge beverage, pharma, or consumer staple players, the muscle memory of government interaction, first mover advantage etc. Like the Crown acquisition, they paid up, but it worked before so give them the benefit of doubt and raise a toast (of Corona, sans lime) to the sheer brilliance of the entire gambit. Constellation’s stock price is now ~$200 per share with 2019 guidance of $9.55 per share; a 400% gain in the six years since acquiring 50% of Crown from Ab/InBev. Not bad for a beer, wine and spirits company. We can’t say if the stock is a buy but we know cannabis is changed forever and Constellation just put themselves in their experiential sweet spot. Control Premiums are paid all the time and we find it somewhat surprising that very few commentators have made this point explicitly-Constellation will now absolutely control Canopy going forward. They will have four of seven Board seats, and with warrant exercise, have the ability to acquire more than 50% total ownership of Canopy. It makes sense. Canopy has always felt like a creature born more of financially engineering than all of the other Canadian LPs and Constellation would surely want to control the company’s efforts and consolidate their balance sheet when its advantageous to do so. Constellation is a branded product expert with a sophisticated engine for identifying and building brands. Canopy is a financially engineered company that started as Tweed and Bedrocan, two companies that merged to survive when they overspent in building their facilities. It wasn’t until the public markets really opened up in 2016/2017 that these companies were able to merge, get their stock moving, and finance their way to stability. Does it really surprise anyone that Constellation wanted to take control of the entity? That isn’t a knock on anyone at those companies or current Canopy management whom anyone who follows us knows we admire greatly (Bruce Linton has one of the best real money quotes I have ever seen-but you need to go to last month’s commentary to read it). We often ask our investments to walk us through potential challenges and analogs in their experiential taxonomy that have prepared them for those challenge. It’s a key part of our Adoption Score investment filtration system. Constellation’s team’s relevant experience? Yeah, they’re good on the regulation front. Give Bruce Linton and Canopy a huge heaping of credit. They made Constellation pay up a ton for these rights but for Constellation, they essentially paid 10% of their market cap for something that they will now control, and when consolidated, will equal nearly 7% of their market cap and likely provide most of their organic growth for years to come. Mr. Linton’s background in business (but nothing major in cannabis or consumer products) served the company well here and he probably got the maximum Constellation would pay. But Constellation in some ways was paying themselves so again, hats off to them for having the courage to “overpay” themselves although we barely see it that way. Now Constellation can take the reins from the financial engineers and create a nexus where brands can come to them and much like their alcohol business, they can cherry pick the brands and ideas they work with. If that costs an extra $1B, it will look like pennies long term and Constellation can afford it now since the other advantages this has created for them will resonate throughout the STZ/CGC organization going forward. The only way to ensure those advantages are maximized was to have rights to take control of the entity, and they deserve credit for having the courage to do so, knowing full well they were paying top dollar today and becoming a cannabis company. Long term, we think this will look cheap because of the Doppler Effect of this week’s action. This is about products and substitution of cannabis for alcohol. Alcoholic beverages will decline, possibly significantly, and cannabis products will increase over the next 5 years. Infused beverages are part of this but the size of that market will never truly justify the investment. This is about entering new product categories in one fell swoop. Recreational products, pharmaceutical products, packaged goods, and agricultural products as just a sampling of where Constellation can take this. If alcohol, and even opioid based medicines, are going to fall off a cliff, Constellation is making a savvy move to pay up to control something that could touch all those things now so they can develop their own expertise and understanding so that as the market grows in the U.S. and laws liberalize here, Constellation will be ready. We also assume Constellation knows it cannot risk directly entering into a U.S. business before some type of legal clarity exists to ensure it could not affect its core business. At the same time, it saw the rapid self-organization occurring in the United States, particularly in product innovation and the growth of multi-state operations who are now going into Canadian public markets. They must have realized that with public market caps of $1B or more for GTI, MedMen, and soon to be public Cresco, Columbia Care, Harvest and many others are getting these valuations at such early stages of the U.S. industry despite the Federally illegal framework. That is scary to a company that thought they would have time to figure it out. These companies could grow well beyond Canopy and will cost a fortune to acquire later. And American multi-staters are getting, as Larry David might say, pretty, pretty good at regulation themselves. So Constellation bought a major league team in a smaller league to get ready for the majors in a bigger league so they can play equally when the game really begins. That’s not a judgment on Canada or Canopy-its just the reality of the size of the U.S. Market. Better to divine how to compete with them or at least sharpen their knowledge to a point where they can figure out who would be the best targets to buy in the U.S., especially if you are dropping $2B (or $4B) at a clip on a company. The only way to really get that knowledge in this industry is to go all in, although buying the institutional strength Equio subscription from New Frontier Data isn’t a terrible way to get smart while spending something closer to $100K per year as opposed to $3.8B. Shameless plug for a portfolio company but hey, it’s our commentary. You cannot compare the Hydropothecary/Molson JV for beverages to this effort by Constellation. We originally commented on that JV by saying Molson got in the space much cheaper than Constellation’s $200MM investment but in the context of this new investment we have come to see our own thoughts on that as flawed. Facts change and we admit that we were wrong. We missed the exploratory nature of Constellation’s investment. We see it much more clearly now. Molson is thinking products, Constellation is thinking raw material, processing, brand engine etc. For context, Molson is a Little (toe) Dipper, Constellation is the Big (full body) Dipper. Astral wordplay intended. You cannot have big expectations in cannabis and avoid playing in the U.S. long term. We have alluded to this several times in the previous sections but its worth repeating. Constellation is getting as close to the target as they can without tripping up their core business. It would not be surprising if Constellation is plugged into macro thinking of the DOJ/FDA/DEA/ATF etc. If you read those tea leaves, they wouldn’t want to wait until some legal paradigm shifts and potentially cost them $10B for control of a company instead of $3.8B. I’m sure we are going to see some Canopy/U.S. partnership just as soon as those brilliant Constellation government relations folks figure out how to do it in a manner that keeps Canopy in compliance with their NYSE/TSX listings. Don’t think for a minute that the reason this hasn’t happened yet is because they are scared of prosecution or U.S. federal illegality. Companies are no longer scared of investing in cannabis because of the legal/criminal risk. They don’t even fear the reputation risk. Don’t believe us? Lagunitas is already making HiFi, a cannabis-infused beverage. They are owned by a tiny company called Heineken. Are we done here? The midterm elections should provide another huge boost to the U.S. industry. Michigan and other states with ballot measures are likely to further crack the illegality dam. Canada’s adult-use market opens on October 17th, which should put more pressure on the U.S. to “do something.” However, the biggest hint that something bigger is afoot here is the fact that Goldman Sachs and Bank of America advised on this deal. Sure, they can say that its perfectly fine for them to do so because its “legal” in Canada. That sound you hear is Danny Moses’ head exploding. Danny, who is a Merida investor and advisor and as brilliant an investor as you will meet, constantly highlights the disconnect when discussing institutional behavior regarding cannabis, particularly on banking. Wells Fargo loans money to Scotts Miracle Gro to acquire Sunlight while closing small cannabis accounts is an example. A more common example is when firms like Goldman or JPM will not let their employees invest directly, or let their clients fund investments from their accounts and pretty much do as little as possible to touch the industry while quietly engaging in huge transactions. Go listen to Danny’s recent interview with Lewis Goldberg and Anne Donohoe of wonderful communications firm KCSA and you will hear him use the word hypocrisy a few times. Danny has shared the disconnect theme at his panel performance at CWBC in New York, and you can also hear him discuss it on his BailStreet podcast with me from this past April. This doesn’t feel hypocritical though. It feels like the beginning of the end of the institutional bank roadblocks. Goldman Sachs is basically an NGO of the U.S. Government. Or a cabinet level department at minimum. Choose your metaphor. Merida has two Goldman alumni lest you question our respect for them: Jeff and David can probably do the secret GS handshake and do a good job of extolling Goldman’s virtues as a company that understands the U.S government as a key feature of its services. The current Treasury Secretary is a Goldman alum. So are several former Secretaries. If Goldman is finally out in the open on their advisory for cannabis transactions, then there is a fundamental shift occurring. Because they know government and regulation. Obviously picking a $3.8B transaction is a great time to change your thinking and Constellation is the benefactor of all of that wisdom, which just gets back to our original point. Nimble operators, who are strong at reacting to the changing regulatory landscape are where you can find future winners. We see Constellation and the Canopy transaction as a perfect example of that. We’re sure Goldman agrees. Let’s close the loop on this commentary on a note closer to Merida. When we first began discussing a partnership with Pegasus and VividGro, the team at Pegasus drilled into our interaction with regulation and wanted to personally go through my background in state licensing. They wanted to understand how Merida saw the regulatory regime, where we saw asymmetries and wanted to make sure we could navigate the tricky waters of U.S. regulation. For the same reasons we are extolling the Constellation transaction, Pegasus trusted us as a partner because of our granular understanding of what exists, and what could exist, but also appreciated that we had the humility to admit that there are significant unknowns that can only be addressed through careful planning and good judgment and instinct. We aren’t comparing ourselves to Constellation in any way but we are simply saying that we have built up some muscle memory ourselves when it comes to cannabis regulation. We didn’t randomly invest in NY licensee Valley Agriceuticals, a data company like New Frontier Data, a compliance tool like Simplifya, a logistics platform for compliant packaging, hydrocarbons and other products like Kush Bottles, equipment provider like GrowGen, or lab testing co. Steep Hill. These were intentional plays on regulatory friction. Our muscle memory and our connectivity to the right partners allows us to comfortably engage in new opportunities like Italian Hemp/CBD just like a (much, much larger) company in alcohol looks poised to smoothly transition to whatever comes next in cannabis. So we applaud the smart folks at Constellation/Canopy and congratulate them on their bold vision. 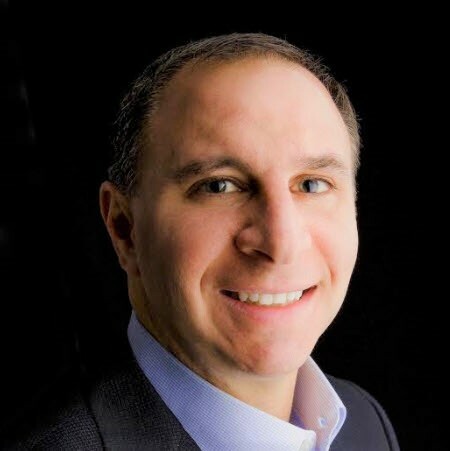 Mitch Baruchowitz , Managing Partner at Merida Capital Partners, has seven years of experience in the legal cannabis industry and is considered a national expert in the diverse licensing regimes governing each state. His cannabis career began when he was asked by several Colorado-based legal cultivators to structure state compliant capital transactions and assist them in analyzing the legal cannabis market in order to develop an optimal business strategy for their operations. After several years of work with Colorado companies, he cofounded Theraplant, LLC with Ethan Ruby, where he architected the highest scoring application in Connecticut’s highly selective licensing process. In 2014, while overseeing Theraplant’s strategic direction, he cofounded LeafLine Labs, LLC, which was one of only two Minnesota companies to win a license to cultivate and dispense cannabis in extracted form. Overall, Mr. Baruchowitz has approximately 20 years of experience in the legal and finance fields. He is the former Associate General Counsel and Chief Compliance Officer of publicly traded MarketAxess. He was also the General Counsel of investment banking boutique Pali Capital, which had revenues of $200 million nearly 200 employees when Mr. Baruchowitz was appointed in late 2009 by the Board to lead the restructuring and wind down of the company. Since 2010, he has led numerous public and private offerings, assisted in the formation and funding of several credit funds and a $60 million REIT while the Head of Investment Banking of ACGM, Inc. and at Cavu Securities. Mr. Baruchowitz is a graduate of Brandeis University and Boston University School of Law. He currently sits on the Board of New Frontier Data. He is a member of the New York and Massachusetts Bars and holds FINRA 7, 24, 63 and 79 licenses.